They provide us with milk and cheese, roam our farmland and lend to an essential part of any eggs Benedict. 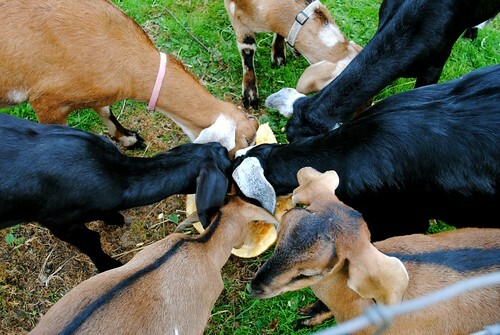 Farm animals are an integral part of each and every community around the globe. 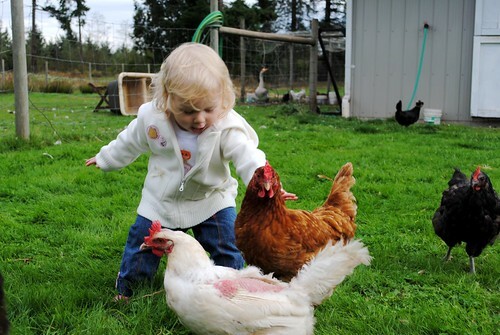 This month the BC SPCA wants the focus to switch from furry companions to farm animals. For years the BC SPCA’s Certified program has bridged the gap between farmers and consumers, raising awareness with an innovative food-labelling program. Not only are participating farms held to high ethical standards in the treatment of their animals, consumers are also assured that the milk, eggs or meat they’ve just purchased came from a farm with high standards of animal care. During the month of October, you can Focus on the Farm by taking action. Whether we inform ourselves about BC SPCA Certified farms in our communities or simply take the time to consider where that glass of “moo juice” came from, we each have the ability to impact our local food source. For more information on the BC SPCA, their Certified program or Farm Animal Awareness Month, visit them online, follow their updates on Twitter or become a fan on Facebook. Can’t wait to go to Shamrock Farms this weekend. More garlic, lavender and PUMPKINS!